Nobody Has Scored At Least 17/20 On This Difficult History Test. Will You? It may have been a challenging subject for you in school, but being aware of history is important for any individual. Knowing the major events from the past help one understand why we live life the way we are living it today. To test if you’ve got a good grasp on history, here’s a quiz for you! We will be asking a couple of questions about different battles and movements. If you have heard of the Battle of Jutland or the Quiet Revolution, you will have an advantage. Your knowledge of country histories is essential, as you will be tested on the former British Honduras. Historical figures will be touched upon, like Mahatma Gandhi and emperors of the past. If you can answer such questions, then go ahead and take this test. You may find it easy to pass this quiz, but to score 17 and above will be no easy feat. No one has been able to score that high – will you be the first? What area of New York was leased by a Swedish sea captain and named after him? Which country was known as British Honduras prior to 1973? Which nation underwent the Quiet Revolution in the 1960s? What was Mahatma Gandhi's initial profession? On which item was a Universal Product Code barcode first used in supermarkets? What was Bangladesh called before gaining independence? Which empire conquered Ancient Egypt in 30 B.C.? Who was Time Magazine's first "Person of the Year"? Which Chinese dynasty was Hongwu the first emperor of? What was the first US city to have a public school system? During which period did the Battle of the Bulge occur? Which Roman Emperor built a wall across Northern Britain in 122 A.D? Which country did margarine originate from? In what city did Anne Frank write her diary? Who was the first emperor of the Holy Roman Empire? Which country had a "Hat Act", which limited the exporting of hats? What kind of battle was the Battle of Jutland between Britain and Germany? What rifle is known in America as 'The Gun that Won the West'? Soviet troops departed Czechoslovakia in 1991 due to which movement? Who wrote the "Ninety-five Theses"? 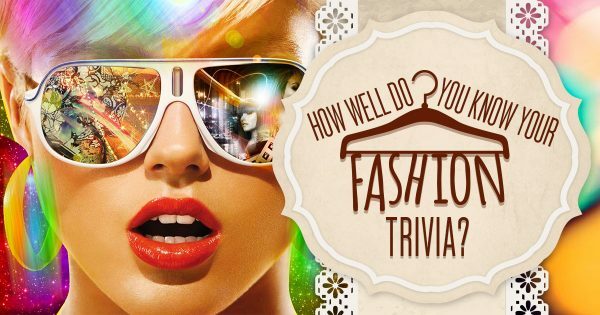 How Well Do You Know Your Fashion Trivia?